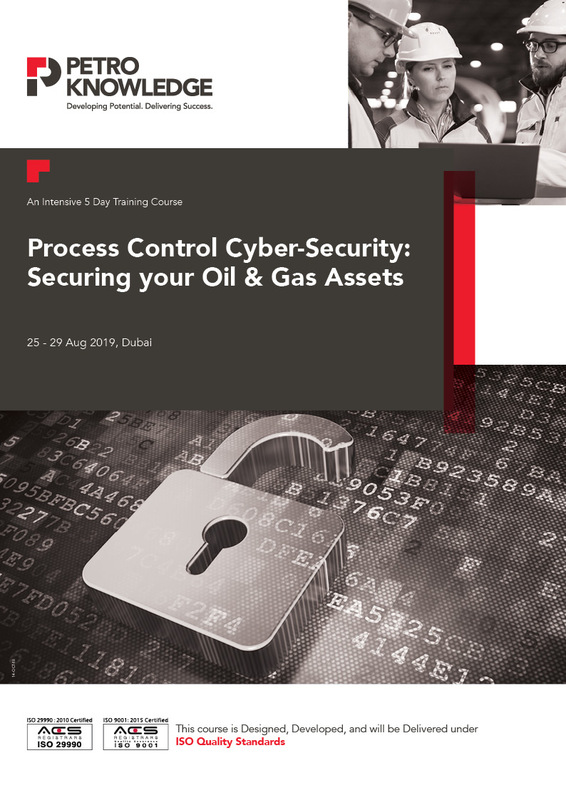 This PetroKnowledge Process Control Cyber-security training course will address the most important issues related to the protection of assets in a process control environment. Unlike traditional IT (information technology) systems, process control assets include IACS (industrial automation and control systems) which need to be protected. Recently, three out of four organizations in the oil and natural gas industry in the Middle East have experienced a security compromise that resulted in the loss of confidential data or operational technology (OT) disruption. This is according to a recent study by Siemens and the Ponemon Institute. Another finding in the report is that – organizations believe that roughly one in every two cyberattacks against the OT environment actually goes undetected. The report also notes that the oil and gas industry is the target of as much as one-half of all cyber attacks in the Middle East and given its importance for the region’s economies, the risks faced by the industry are all the more pressing. OT, which encompasses systems that monitor and control physical devices and industrial processes, is increasingly interconnected with IT networks. In spite of all its benefits, this IT/OT convergence is opening up new avenues for attacks. This PetroKnowledge Process Control Cyber-security training course will utilize a variety of proven adult learning techniques to ensure maximum understanding, comprehension and retention of the information presented. This would include, but not be limited to, effective presentations, open discussions, simulations, paper exercises, individual and group exercises, as well as small subject evaluations at the completion of every chapter. Delegates will receive a comprehensive manual, as well as a PDF document containing the presentation slides. Questions are encouraged at all times. Implementing process control security counter-measures. On this PetroKnowledge training course, participants will gain knowledge and learn to apply themselves, fully, in matters pertaining to Process Control Cyber-security. Such skills and knowledge should result in better career prospects within the organization and will play a meaningful role in their abilities to be leaders in their field of expertise. In addition, delegates will have an opportunity to share cyber-security experiences and knowledge with fellow delegates and the Instructor.